Maquet P, et al. The weight-bearing surfaces of the femoro-tibial joint. Acta Orthop Belg. 1976;42 Suppl 1:139-43. Vignon E, et al. 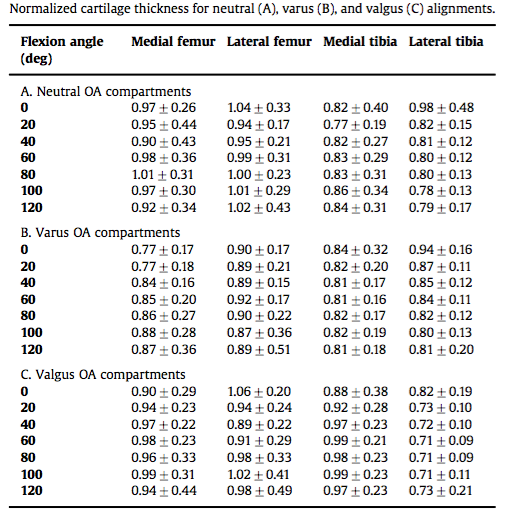 Measurement of radiographic joint space width in the tibiofemoral compartment of the osteoarthritic knee: comparison of standing anteroposterior and Lyon schuss views. Arthritis Rheum. 2003 Feb;48(2):378-84. Wirth W, et al. 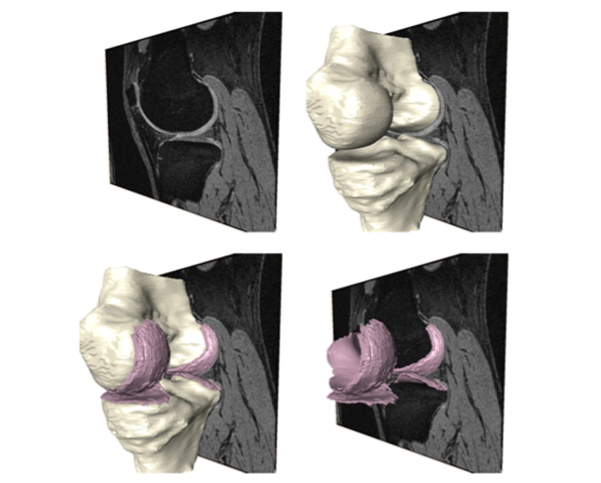 Spatial patterns of cartilage loss in the medial femoral condyle in osteoarthritic knees: data from the Osteoarthritis Initiative. Magn Reson Med. 2010 Mar;63(3):574-81. Michael Johnson J, et al. 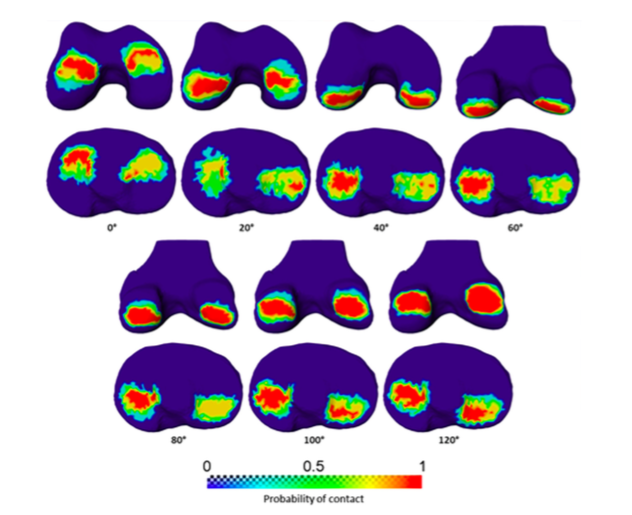 Cartilage loss patterns within femorotibial contact regions during deep knee bend. J Biomech. 2016 Jun 14;49(9):1794-801.